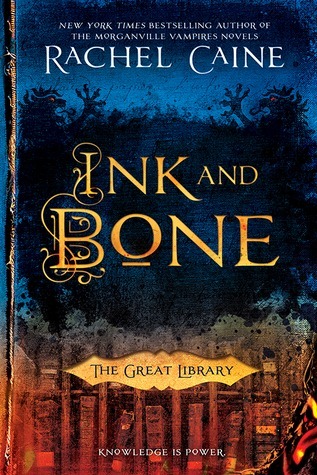 In Ink and Bone, the Library of Alexandria still exists in 2030 and has complete control over the world’s books. It’s illegal to own originals and instead everyone has tablets that they can use to read books from the Library that are allowed. Jess is from a smuggling family and is sent to the Library to study to be a Librarian and secretly to spy for his family. He makes friends and competes for six spots. The remaining students are sent to Oxford in the middle of a siege to rescue a trove of original books that were discovered. A number of students die in the journey. Morgan Hault is a student but has the magical power of the Obscurists. She doesn’t want to be a slave though, so she is trying to stay hidden. Jess has a crush on her. She is eventually captured and sent to the Iron Tower. Jess’ best friend Thomas is found to have been making a printing press, which the Library is NOT OKAY WITH. He is killed and his invention destroyed. The surviving students are assigned their library jobs and sent off to start on them and Jess gets a pretty low rank and only a year’s contract, ouch. Jess is sent with other students and Collections to raid a smuggler house, incidentally the house that he broke into recently to steal from! When it is found out that Thomas made a printing press, the students’ dormitory is raided and Thomas is captured and killed. Jess is captured and questioned. He’s told that unless he spies on Wolfe from here on out, he’ll be failed or worse. He agrees, though he’s obviously not happy about it. Morgan, who is in the Iron Tower now, is able to open a secure connection to Jess through her mad Obscurist skills and at the very end she asks him to help her change things. Thanks so much for this! Was a year and a half since I read the first and just got a hold of the second.